These cups were made to feel good in the hand, with little indentations and places for your fingers to fondle as you sip from them. Red wine or gin are my beverages of choice, but they’ll work well with any hot or cold drink you wish to sip. They also make a nice cup for a bathroom counter or vase for a short stemmed bouquet. Each cup holds about 6 oz. 3-3/4″ tall by 3″ diameter at the mouth. 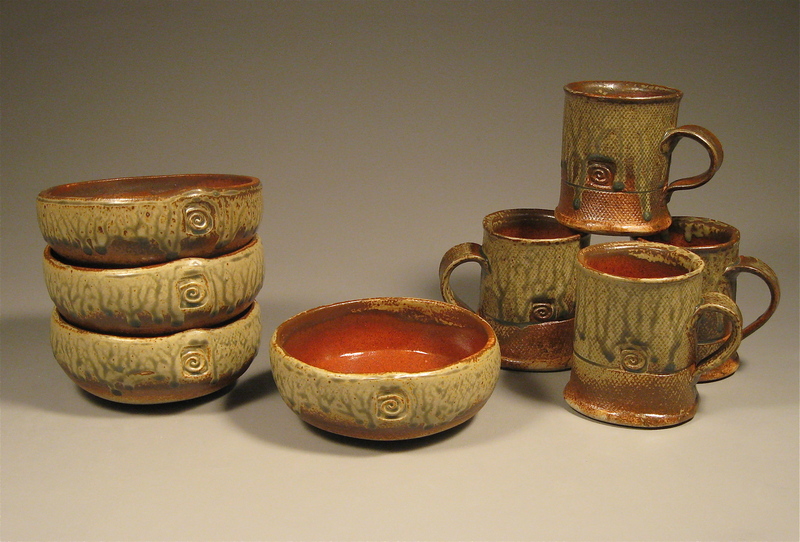 This particular set was sent off to some friends in New Mexico last year. 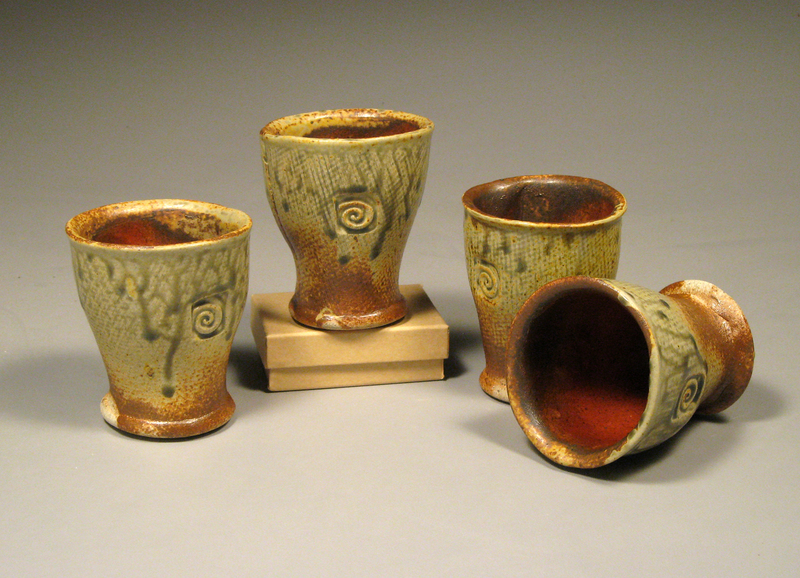 I think they are quite handsome with the dark reddish brown centers and sage green glaze on the outside. A customer asked for a butter dish to match a sugar and creamer set she purchased from me many years ago. Took me a couple of attempts to figure out the shrinkage to fit over a cube of butter but not be too large to pick up. Then had to get the glazing right. People are seeing all kinds of animal faces… I like that. These will go nicely with the leaf plates. Dishwasher safe. $40-$45 depending on size. 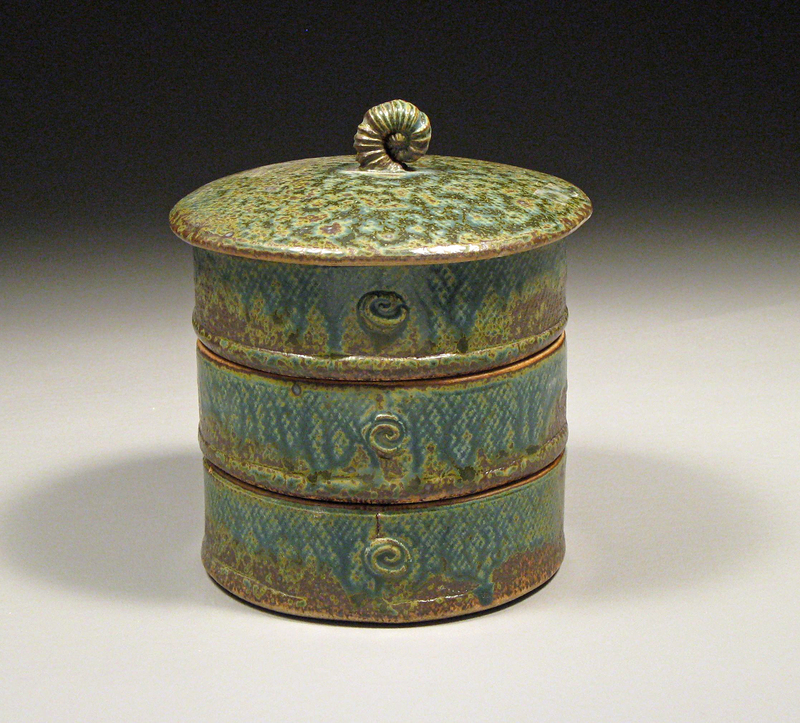 Green and cream colored versions of this butter dish on my Etsy site. They’re almost round but certainly not square: Tri-angular plates. 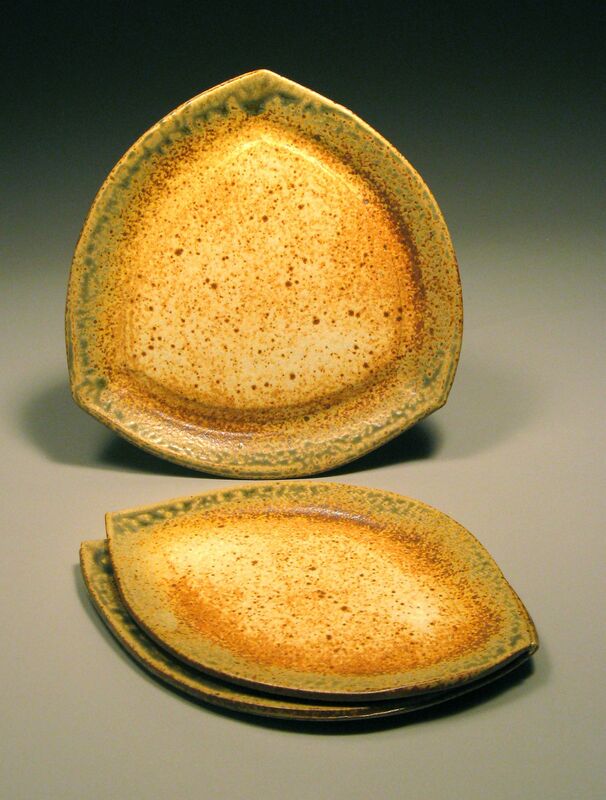 And since you’ve broken the mold, how about leaf plates for salad and sandwiches?! These two are the sage glaze with cream surface. Can do them in blue/green with brown surface, too, or a mix & match of your desire. Plate – $36, Leafs – $26. 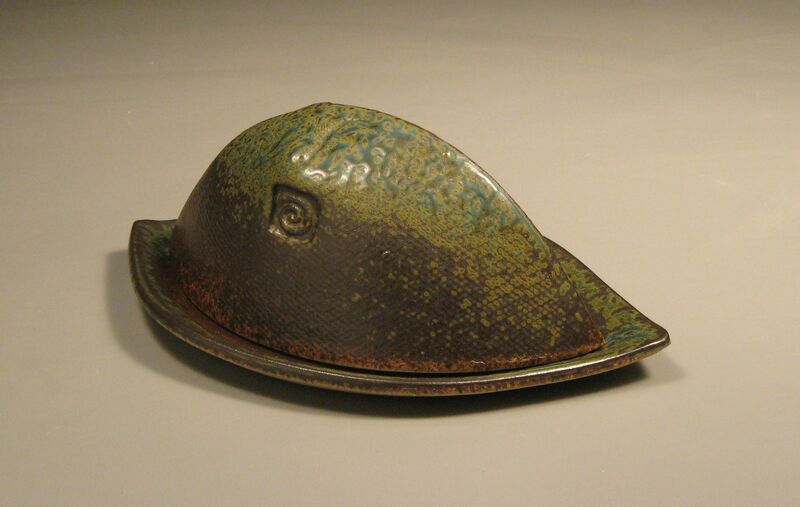 A slightly smaller version of the leaf plate is available here at my Etsy Store.